A man accused of partially blinding another man in an assault outside a Hastings pub has been acquitted, the Old Bailey confirmed. Matthew Barnes, 48, of Montpelier Gardens, Washington, West Sussex, denied grievous bodily harm with intent following an incident outside the Carlisle Pub, in Pelham Street, Hastings, shortly before midnight on February 20, 2016. According to Sussex Police, the victim suffered significant injuries to his eyes and endured a number of operations at the specialist eye hospital in Brighton. This afternoon (Friday, January 25), a formal not guilty verdict was entered by the court as the prosecution offered no evidence and said it will not go for a re-trial, the Old Bailey confirmed. Mr Barnes has therefore been acquitted of the charge. After the trial, Detective Sergeant Lee Floyd, who had led an investigation into the assault on Mr Harrison, said: “We accept the decision of the court. A jury was also dismissed following a trial in August 2018. 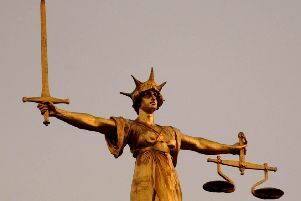 Oliver Wilkinson, 49, of Duke Road, St Leonards-on-Sea, was acquitted of the same charge at the first trial.